When water contains a significant amount of calcium and magnesium, it is called hard water. Hard water is known to clog pipes and to complicate soap and detergent dissolving in water. 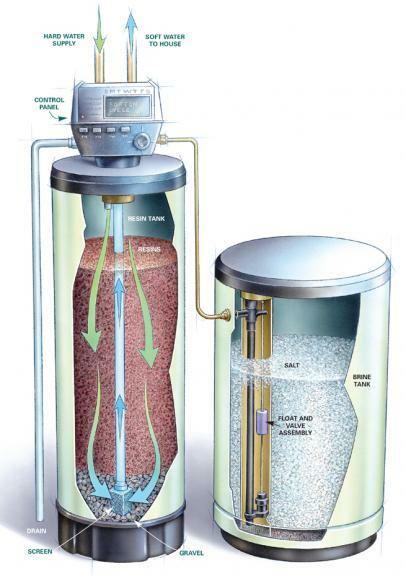 Water softening is a technique that serves the removal of the ions that cause the water to be hard, in most cases calcium and magnesium ions. Iron ions may also be removed during softening.The best way to soften water is to use a water softener unit and connect it directly to the water supply. 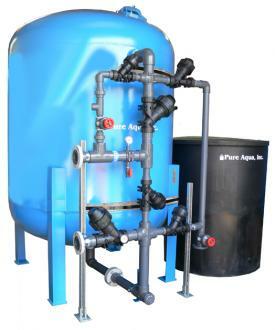 A water softener is a unit that is used to soften water, by removing the minerals that cause the water to be hard. water softener collects hardness minerals within its conditioning tank and from time to time flushes them away to drain. Ion exchangers are often used for water softening. When an ion exchanger is applied for water softening, it will replace the calcium and magnesium ions in the water with other ions, for instance sodium or potassium. The exchanger ions are added to the ion exchanger reservoir as sodium and potassium salts.